Well, the march of the USB-C type cable is most definitely on, with more and more mainstream tech moving over to the super slim connector to charge and sync their gadgets and devices. While not yet totally universal, the future is now with us, so we’ve taken a look at the best USB-C cables currently out there. So, what is the gen on the USB-C? Well, thanks to its nifty reversible connector, you’ll no longer experience the hit and miss of trying to plug in your cable the wrong way around. Plus, your device could also benefit from a serious boost in data transfer speed and fast charging time. And, while more and more big names are moving over to be totally USB-C, you can still bridge the gap between compatible and non-compatible devices with USB-C to USB-A cables. To help get you connected with the future of USB, we’ve put together our top 10 USB-C type cables to add to your collection. Welcome to the revolution. From ANKER, one of the leading USB charger brands comes a speed demon of a USB-C connector that races to the top of our best USB cables list. With a transfer rate of up to 5Gbps (that’s an impressive five seconds to transfer an HD movie or 1,000 songs), the Powerline+ also claims to last longer than most USB cables thanks to its double-layered nylon exterior. You get a lot engineering tech for the money with the Powerline+ and as a quality USB-C to USB-A connector, it effectively bridges the gap between USB-C devices and standard ports. It’s also compatible with the new MacBook and MacBook Pro as well as the ChromeBook Pixel, bringing with it the option for high-speed charging wherever you go. It’s a more than ample 6ft long and inside, the Powerline+ USB C has a toughened fiber core and laser-welded connectors to keep the super-strong cable kink free and on top form, time and time again. It may be a few bucks more than some other products out there but the Powerline+ is versatile and fills its role with gusto, working just as well on the go and when the travel gets tough as it does in the comfort of your own home. Be sure to also check out our list of the best AUX cables for more great items like this. For the Apple Mac devotes amongst you, here’s a safe and fast USB-C cable for charging and syncing for your MacBook or MacBook Pro that shouts quality and Apple styling while delivering all the connectivity you need. At a more than plentiful 6.5ft, Apple USB-C Charge Cable cable has been designed specifically to synch your MacBook or MacBook Pro device or, with an added USB-C power adaptor, speed charge from a wall outlet. The device fit is seamless, and the sturdy cable built to minimize unnecessary curling or kinks as well as prevent any long-term weakening of its internal wires. This USB-C cable also supports up to 5 Amp and can also be used to synchronize USB 3.1 type C Apple smartphones. Billed as ‘reliable, rugged and luxurious’ there’s no doubting this USB-C to USB-A cable is a neat looking thing (although we’re not too sure any USB-C cable can be described as lux), and at super-sized 6.6ft per cable, this two-pack set at less than $10 is also damn good value too. Sleek in design, the Snowkids USB C Cable has a good rate charging and synching spec, making it a USB type C cable more than capable of stepping up to repeated everyday use. Nylon-double braided, with a slim cable that has been bend tested to over 6,000 times, this USB-C cable also comes with a neat leather strap to keep it organized. But what about its performance? The Snowkids USB-C Cable can juice up 3A and has a max data transfer rate of 5Gbps so totally on point with the other big boys but as with all the others, it does depend on the device you are working with. Compatibility-wise, the Snowkids USB-C cable is also very well-connected, working with a host of mainstream devices, including the Samsung Galaxy Note9 Note 8 S9/S9 Plus S8/S8 Plus, Google Pixel, LG V20 V30 G6 G5, Nintendo Switch, and the new Nokia N1 tablet. However, this cable doesn’t charge MacBooks although it does charge connected devices. Our handy guide to the best lightning cables features more great products like this. Comes with a handy lifetime warranty. US device connectivity specialists Belkin have been leading in their field since the 1980s and have a reputation for quality, performance, and value. Their USB-C to USB Type A Charge Cable is the solid workhorse of our best USB-C cable list and the Belkin pedigree doesn’t let it down. At just over four feet, the cable length is enough for everyday use and comes with what Belkin describe as superior USB-C to USB-A cable construction. This translates to a precision welded metal shield designed to protect the PCB and E marker, minimizing ‘radiated emission levels’ and adding to the overall cable strength. Tough credentials for a sleek cable that works with a good range of USB-C compatible devices, including MacBook, Chromebook pixel, Samsung Galaxy S8, Google pixel, Nintendo switch and the LG G5. 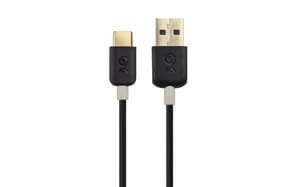 Ok, we’ve featured an Apple-specific USB-C type, so it would be remiss of us to leave out this quality cable from Google, this time designed to not only be compatible with the Chromebook Pixel but also a host of other brands too, including Nexus 5X, Nokia N1 tablet, Nintendo Switch, Samsung Galaxy S8/S8+ and the MacBook 12 inch as well as standard USB-A devices. This is certainly a well-connected USB-C to USB-A cable when it comes to compatibility! At a decent cable length of just under 6ft, this neat and clean USB-C cable can offer 480 Mbps data transfer speed, depending on the capabilities of the device and supports up to 3 Amps. Google Pixel/XL/C Quick Fast Charger is a quality USB-C charging cable that’s versatile across your range of devices. Love this product? Check out our review of the best portable power banks for our top picks. One of the longest USB-C cables in our review, the CableCreation USB-C to USB-C is great for those stretch situations in the car or in the office, for vertical gamers or for leisurely sofa sessions on your phone or tablet when the last thing you need is cable-tangle. With this USB-C to USB-C charging cable, you get a nice sturdy product that can up its game to an adequate 480Mbps for a good range of devices, including the Apple MacBook(Pro), Nintendo Switch, Galaxy S9/S9+ and the Pixel XL 2. It has an output power of up to 20V/3 Amp to support quick and safe charging, although the manufacturers have highlighted that if you use this cable to charge a 2016 15-inch MacBook Pro with original power adapter, the speed will be lower than Apple original cable. As well as a great performance for a great price, there are also some nice lux touches to this USB-C cable. It has a dusky grey tone, with white and black braided nylon outer on the cable that impressively kinks and tangle resistant. 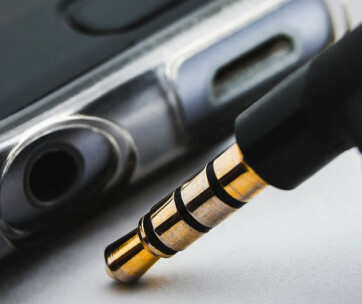 There is also a gold-plated shell to the connector for improved signal and connectivity. Plus, it comes with a Lifetime warranty – now that’s a bonus. Be sure to also check out our list of the best HDMI cables for more great items like this. This is one tough cookie of a USB-C to USB-A cable from NYC-based company BrexLink that has been designed with an ultra-durable nylon braid cable and seamlessly molded joints to resist kinks and keep it tangle-free. Plus, there’s a nice snap-lock tie on each cable to keep them super neat. The two cables in a pack really do come in handy and they are not skimping on length either, with each cable coming in at over 6ft. The BrexLink USB Type C cable supports high speed charging up to 3A and data transfer to a maximum of 480Mbps, so an all-around good performer, although the details highlight that it’s not compatible with iPhone. Never mind, you can’t have it all, but this USB-C to USB-A charger does work with a good range of other devices, including the Google Pixel 2, Samsung Galaxy S9 and the Nintendo Switch. 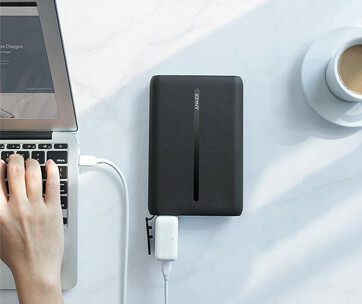 Find more great products like this by checking out our guide to the best external hard drives. China-based connectivity specialists UGreen have put together a well-priced USB-C to USB-C cable that’s ideal to have as a back-up at home, in the office or as your ‘on the road’ spare. At 3ft, the cable is just long enough to make it work for a range of synching and charging setups between two USB-C enabled devices although the size does make it a great travel option. However, to charge your USB-C device from the wall you will need an adaptor. The UGreen USB-C 3.1 cable works with a wide range of USB-C compatible devices, including Google Nexus, Chromebook Pixel, Samsung Galaxy Note 9 and Nintendo Switch as well as newer models of the MacBook and MacBook Pro. The UGreen is a nice-looking USB-C cable, with black and grey braided nylon cable with an aluminum casing for extra strength and anti-tangle abilities. Both USB-C connectors come with molded strain relief to provide consistent plug-in performance and a longer bend lifespan. You also get a more than decent high-speed synching up to 5Gbps and safer charging up to 3A. All-in-all, the UGreen USB-C would be a welcome addition to the office and its reliability means it is a great fallback cable that won’t let you down. Make sure you also check our guide to the best USB hubs. Don’t let the five bucks average price tag for this neat little USB-C charging cable put you off – this well-engineered USB-C to USB-A cable is so much more than a simple ‘that’ll do’ buy. With a lifetime warranty and its molded, sturdy construction, you get a lot for your money, meaning we are happy to award it our Best Value badge. Ok, the cable is on the shorter side compared to others in this review, but for all-around use, its 3.3ft will keep you happily connected. It also comes in 6ft and 13ft lengths for a few dollars more if length really matters. This is a robust USB Type-C to Type-A connector that clicks into place for a snug and secure connection and the strain relief molding on both of its connectors means it can take all the unplugging you can throw at it. A soft relief jacket also helps to keep the cable length tangle and kink free. 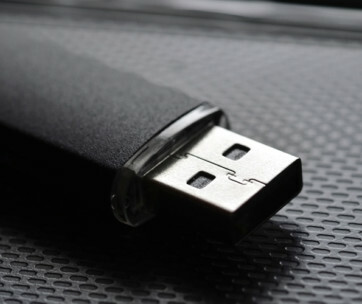 Don’t forget to also check our guide to the top USB flash drives. 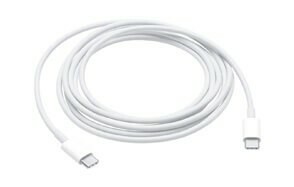 The Cable Matters USB 2.0 Type-C cable provides an essential connection between computers and chargers with USB-A and the newest release of smartphones and tablets with USB-C. For the price and the durable build, we think the Cable Matters USB-C Cable is fantastic value and can easily be either your go-to connector for everyday or an invaluable spare. The Covery is a great choice for your backup USB-C to USB-A cable, and with four cables of differing lengths in the $10-ish pack, you can afford to have one for every occasion. This is a product that’s been designed to make your connective life on the go that little bit easier, whether it’s in the car, the office, on your commute or in front of the TV. And for this price, it won’t break the bank. The Covery USB-C to USB-A charger cord is compatible with the newer USB-C type devices including the Samsung Galaxy, LG Nexus 5X, Google Chromebook Pixel and the new Apple MacBook and it offers a more than adequate data transfer speed of 480Mbps. Quality – You’ll be plugging your new USB-C cable into your precious tech, so quality and value rather than generic and cheap as chips is the way to go on this one. Brand - this was an essential part of whittling ourBest USB-Cables list down to the final top 10. Not only are you getting a reputation to endorse your new USB-C or USB-C to USB-A cable but also peace of mind about performance. Reviews – the proof is in the pudding, as they say, so we took on board a range of users’ first-hand experiences to ensure the products on our top 10 USB-C type cable list were all up to the job and could connect to the most popular devices. Price – if the price tag seems too good to be true when it comes to tech and electrics, it probably is. Value for money when it comes to what you pay for a USB-C type cable also comes in performance, quality, and durability as well as the price tag so that the final bill really does add up. A USB-C to USB-C cable offers rapid charging or synching between two USB-C compatible devices, for example, to plug an LG Nexus smartphone into your new MacBook or to connect with a USB-C brick or adapter. If you need to connect your USB-C compatible device or smartphone to a computer that still has the standard type USB-A port, then this hybrid cable which has the C-plug on one end and the A-plug on the other is the ideal solution. Q: What is a USB-C Cable? A: USB stands for ‘Universal Serial Bus’ and the concept was originally developed back in the 90s as a way of sending data, charging electronic goods and connecting items such as your mouse and PC. Tech-wise, it was a total gamechanger and USB technology has continued to evolve at a fast pace ever since, getting faster and more powerful as it shrinks in size. The USB-C cable – aka USB 3.1 type C - is the latest charging cable on the block and has been billed to eventually become the main man when it comes to charging, transferring and connecting all your devices. This nifty charging powerhouse first appeared back in 2014 and has since knocked standard charging cables out of the park when it comes to speed, power, and size. What sets the USB-C apart is its tiny physical connector – a third of the size of the standard USB-A plug – which is totally reversible as it is the same at both cable ends. Its symmetrical shape also means the faff of trying to flip the connector as you fumble to find the right orientation is a thing of the past. But it is not only in size does the USB-C charging cable wipe the floor with the bigger USB guys. For such a small dude, the USB-C type cable can support significantly faster charging and data transfer compared to other USB cables. Compared to the average 640Mbits per second for the USB 3.0, the USB 3.1 type C has seen the data rate jacked up to as much as 7.2 Gbits per second, depending on the device being connected. This increase in power available with USB Type-C cable means you can also use it to charge higher-powered devices such as laptops. In short, with more and more tech having a USB-C port as standard, the USB-C is the cable guy for our ever-decreasing in size yet increasing in power and spec, super thin gadgets and devices. Q: Will my battery charge faster with USB-C cable? A: Despite its diminutive size, the USB-C type cable is capable of supporting faster charging times as long as your device or charger is compatible. All USB cables work within a defined charging standard, rather impressively known as the USB Power Delivery specification – or USB-PD. The standard USB 2.0 port pushes 2.5W but the USB 3.1 type C can take advantage of the 100W maximum output of the Power Delivery system when it needs to. This means the USB-C type cable can work to its optimum as well as the device’s safety limits, whether it is charging a smartphone or a large, powerful laptop. However, USB Type-C cables and ports may be used for USB 3.1, but, depending on the host controller and devices, may only be compatible with USB 2.0 or USB 3.0, bringing the speed down. Q: Is USB-C the same as micro USB? A: In short, no…although there are similarities and the USB-C cable has transpired to be the micro USB’s more than worthy successor. The micro USB is just as its name suggests, neat in size and has certainly served the tech world well. But now the USB-C cable has picked up the micro baton and totally run with it. 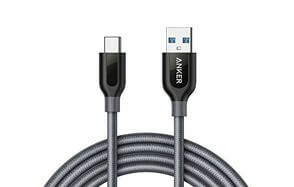 The USB type C cable is actually slightly larger in size to the micro, but its oblong reversible shape and double ended connector make it easier to use, even for the most fumble-fingered amongst us. USB-C cables can also take advantage of the 3.0 and 3.1 data transfer speeds and faster-charging options. With a bold step, the USB-C charging cable has totally leaped over the design limitations of the micro USB and is fast becoming the ‘one size fits all’ cable connector for all your tech devices. Q: Are USB Type C chargers universal? A: Well it seems the USB-C will eventually go that way although not all cables currently support the same functionality. Standard USB A, B, mini and micro connectors are still out there, and it all depends on your gadget, model and manufacturer as to what port your device currently has. Today you can buy USB-C to USB-C double ended cables for your totally USB-C compatible devices, or to connect or data transfer a standard port device, you can use a USB-C to USB-A cable. USB-C is also backward compatible with USB 2.0 and 3.0 devices, but you’ll need to buy an adapter as the plug on USB Type-C cable is different than the plugs on 2.0 and 3.0 cables.